The next OnePlus smartphone is expected to take place around May, leaks around the upcoming device have already starting surfacing on the Internet. OnePlus 6 has recently been spotted sporting a vertical dual camera setup, an edge-to-edge display and an Apple iPhone X like notch at the front, in a leaked image on a Chinese website. 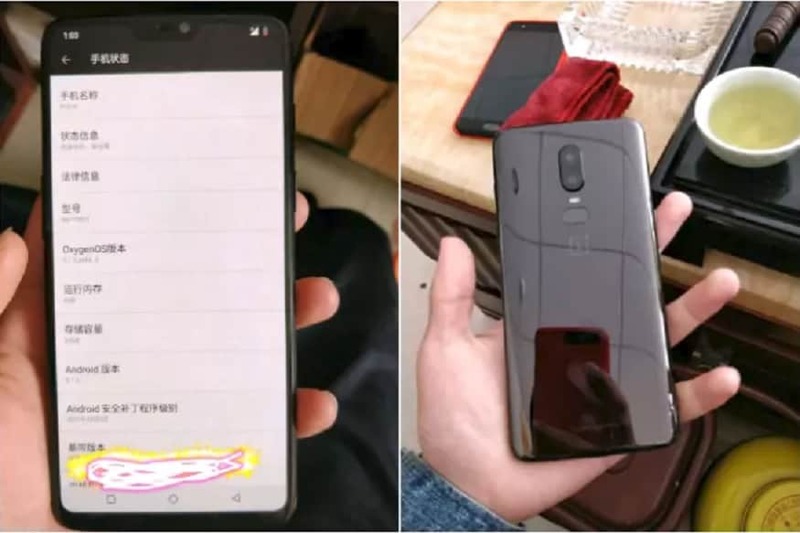 While the earlier leaks surrounding the OnePlus 6 did not have much credibility, the recently leaked image is that of a never-seen-before smartphone and has been clicked by a OnePlus 5T, with another OnePlus 5T at the same table. This hints at an insider’s job or that of someone closely associated with OnePlus. From what can be seen from the images, the next OnePlus flagship will come with an even bigger edge-to-edge display than the OnePlus 5T. What’s more, is that the OnePlus 6 will also carry an iPhone X like notch at the top, possibly for the front camera and Face Unlock sensor. At the back, the OnePlus 6 might sport a vertical dual camera setup, as can be seen in the image. Right beneath it, is the fingerprint sensor of the device and a OnePlus logo. The same report also sheds light on the possible specifications of the OnePlus 6. As per the report, the OnePlus 6 will come with a P7819 model number and will carry a 6GB RAM and a 64GB in-built storage. It will run the latest Android 8.1 Oreo and given the history of OnePlus devices, might be powered by the latest Qualcomm Snapdragon 845 chipset. Back in January, OnePlus CEO Pete Lau had confirmed a Q2 launch date for the next OnePlus flagship. As we draw closer to the latter part of Q2, leaks surrounding the next OnePlus smartphone are only going to increase. Watch this space for more on the OnePlus 6 as it is revealed.